Audi's quattro all-wheel-drive system has become a globally respected brand in itself, and like most vehicles with the four rings emblem, the Q5 also proudly showcases it. The Q5 has an affable design and sophisticated looks. The neat lines, equitable and compact dimensions and shining jewellery like headlights and chrome adornments, make it appear even better dressed. But it doesn't have a towering street presence, and despite this being the new generation model, it still looks a lot like its predecessor. The sizeable A-pillars obstruct cornering vision and ingress and egress is simple, but you do rub against the dashboard while getting in, unless the seat is adjusted. The wiper cleaning area is excellent and the washer has six powerful jet sprays dispensing an immense amount of cleaning fluid. At 208mm, the ground clearance is generous and even more than the Discovery Sport. 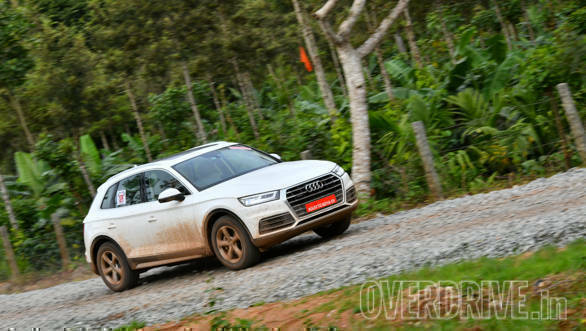 The overhangs are short and the proven quattro all-wheel drive comes with the drive select system that has an off-road mode and hill descent. There is engine underbody protection too. The space saver spare tyre is deflated and stored in the boot and learning to use the supplied air compressor to inflate it, is bothersome. The diesel engine is very peppy and free revving and virtually petrol-like in its response. Its low and mid-range power delivery is potent, and the Audi Q5 handles precisely and is very stable at speeds, making it a good tourer. 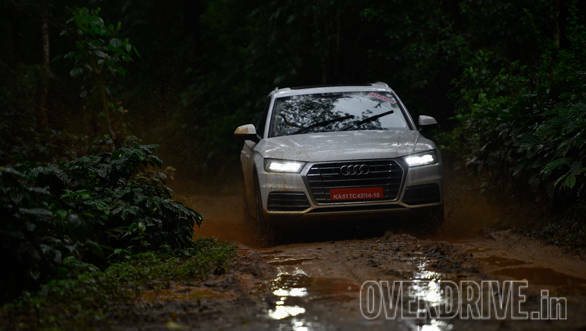 The quattro all-wheel drive was in its element on the slippery and loose stage, giving great grip and traction. You can practically feel the wheels biting in and the accurate handling allows you to push hard and place it almost inch perfect. The Audi Q5 is agile as an antelope and also reacts to driver inputs with alacrity. The suspension stays supple in the rough and even in the many ruts present on our stage. The engine power delivery is splendid and the braking positive. All mechanicals work in complete cohesion and one can carry speed even into tight turns. 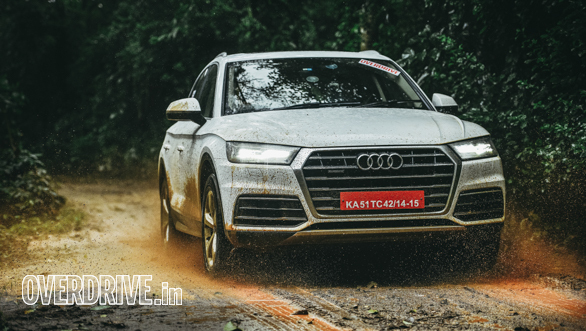 All said, the Q5 is great fun and the quattro is a tribute to the engineers and former World Rally Champions like Hannu Mikkola and Walter Rohl, who helped develop and fine tune it in the heat of competition.